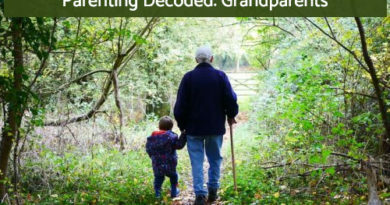 Blurb: We like to think that as new-generation parents we are more aware and well-read and way more cued in to our kids than our parents ever were. Yet somehow they managed to do a better job of imparting values of love and friendship, seemingly effortlessly. Maybe it is time to pick a few lessons from the past. On a lazy Sunday, a game of cricket was underway in one of the gullies of an old Indian city. The lane was narrow with single and double storied houses rising up on either side but that did nothing to take away from the passion for the game. The batsman, all of ten, lifted the ball hitting a glorious six. A glass shattered somewhere and almost simultaneously a fight broke out between the two teams. “Anything beyond the yellow building was out. That’s what had been decided,” said the enraged baller. The batsman, still preening from his shot would have none of that. Within minutes the two were on the ground rolling in the mud. First to reach the scene was a very angry Gupta ji. His pristine white Lucknowi kurta had an ugly yellow stain running down its front from the aloo tamatar ki sabzi that had splattered on it as a shard of glass landed in his bowl along with the offending ball. Gupta ji’s brunch was quite ruined. The other was Tandon saab – the father of the baller. The two separated the boys. While Tandon saab grabbed the batsman’s ear, Gupta ji gave one hearty smack to the baller, who ran off as fast as he could. The batsman wasn’t so fortunate and was pulled along to be presented to Sharma ji, his father. If the young boy was expecting sympathy he was out of luck. His parent landed yet another whack on his head, confiscated his bat and sentenced him to his study table for the day. Meanwhile Tandon saab and Gupta ji were invited for a cup of tea. As the three tucked into hot samosas from Chhotelal’s shop across the corner, Tandon saab remarked with a twinkle in his eye, “Remember our game of gilli danda – that time when you hit amma’s precious pickle jar?’ The three burst out laughing. ‘Jars!’ corrected Sharma ji, rather proudly, “Three of them in a row. It runs in the family,’ he chuckled, “My back still hurts some days from where babuji‘s stick had landed.” After many more laughs and cups of tea the two complainants departed. “I’ll look into that glass,” assured Sharma ji. “Don’t bother. You still owe Tandon for the pickle jars. I’ll add it to the account,” laughed his friend and added, “Don’t be too hard on the boy. He’s a good lad”. Next Sunday the boys were at it again – breaking windows, splattering subzis, getting their ears boxed. It’s another lazy Sunday. Another game of cricket is underway in a gated society. The wickets stand on a narrow stretch of asphalt between perfectly-manicured gardens and closely spaced parking lots. Shouts can be heard from the two teams – by turns heckling and encouraging. A ball rises up in a six and smashes into a car. An argument breaks out among the players ‘It’s a six,’ says one of the boys, ‘Out,’ says the other. The heated exchange is followed with a punch or two. Soon all that can be seen is a melee of hands and legs and no one can tell who is who. A few people see the boys fighting. They shake their heads, let out a sigh and go their ways busy with their days’ chores. Some parents come rushing down. “Stop, stop you boys, stop right there you big bullies,” says one of the moms pulling out her son and turning the full force of her anger onto the others, letting loose a vicious diatribe. The two then walk off to the chief offender’s house with their complaints. They are met by a parent who matches them – accusation for accusation. “You have to pay for the dent,” says the car owner. “Tell your son to stay away from mine. I’ll report him, I’m telling you,” threatens the mom. Angry words flow back and forth till the two walk off fuming. That evening one of the boys asks his dad, “Papa what does ‘prosecute’ mean? “But he’s the one who has the best bat,” said the son. “I’ll get you a new one, just stay away from him,” replied the dad. Next day the boys eye each other warily. Even as one of them brandishes his new bat and the other shows off his new set of balls, the game has lost its fun. When kids weren’t mine or yours, they were simply ‘apne mohalle ke bachche‘. When your parents were least likely to take your side. When any adult could box the ears of any child without worrying about his/her parents’ reaction. When a child wasn’t branded a bully because of a playground scuffle. When the bats were old and the balls were scuffed but friendships never lost their sheen. When bonds forged fighting over goals and wickets and strengthened over cups of tea grew into lifelong relationships. When kids’ fights were looked upon as just that – kids’ fights. When kids were kids and adults were adults.